First fine for port of Google Glass while driving was prepared by an agent of law enforcement in Los Angeles. Cecilia Abadie was stopped driving her car for speeding in the Los Angeles area. When writing the ticket, the officer noticed that she wore Google glass. It is in fact part of the 10,000 "explorers" who test currently connected glasses. Then she doubled the amount of the fine for "video or TV while driving," according to the magazine Business Insider reports that information. 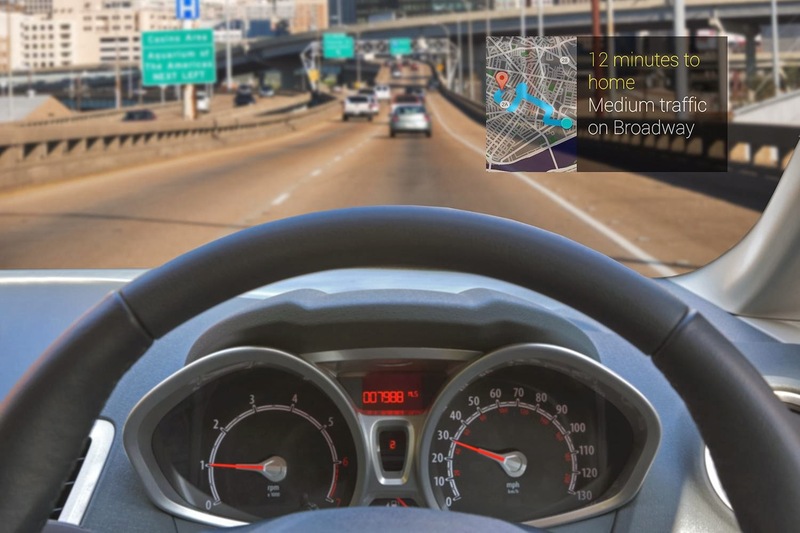 The HUD is allowed in cars but not Google Glass.